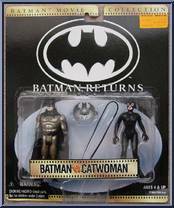 It was the feline fatale, Catwoman, that had Bruce Wayne's heart and Batman's curiosity in Batman Returns! When the Caped Crusade finally got his hands on the killer kitty, he left her hairs standing on end! 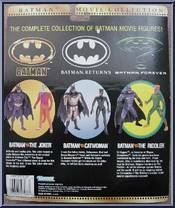 Contribute pictures, update details or suggest corrections for Batman vs. Catwoman. Write a review about Batman vs. Catwoman.